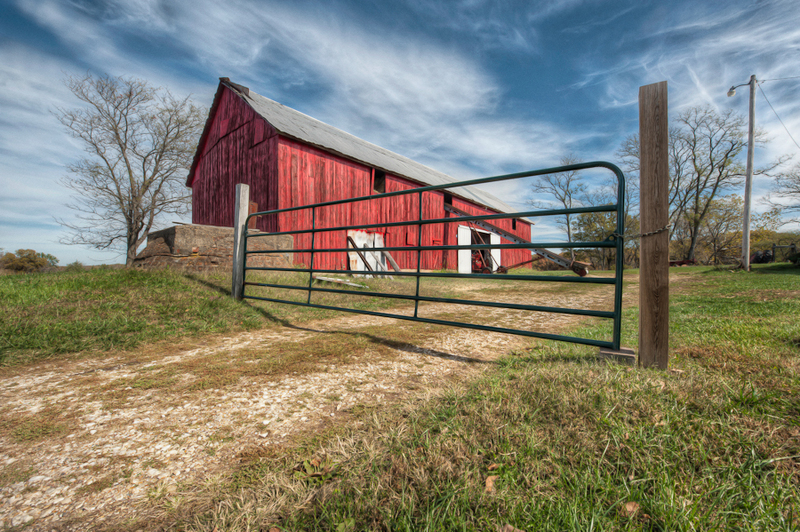 For years, after seeing them in film and print media, I’d wanted to find and photograph a big red barn. Because I spent so much time out of the country, or in parts of the country where I could’t seem to find the right barn, I never got that shot. That changed today while I was driving along Route 66 in Missouri. What a beautiful countryside, and I finally found that big red barn I was after. No wonder they call Missouri “the Show Me State”! Rob Hanson – Your point of view on this is great! It makes the barn look larger and more imposing. Master of composition, you are. Jacques – Thanks so much Rob. I don’t believe I do know why they were painted red. Was it to drive bulls nuts? Wayne Frost – Nice capture of the local scene, Jacques. Which camera did you use? Jacques – Thanks, Wayne. That was the D700 I used for this shot with the 14-24 lens.